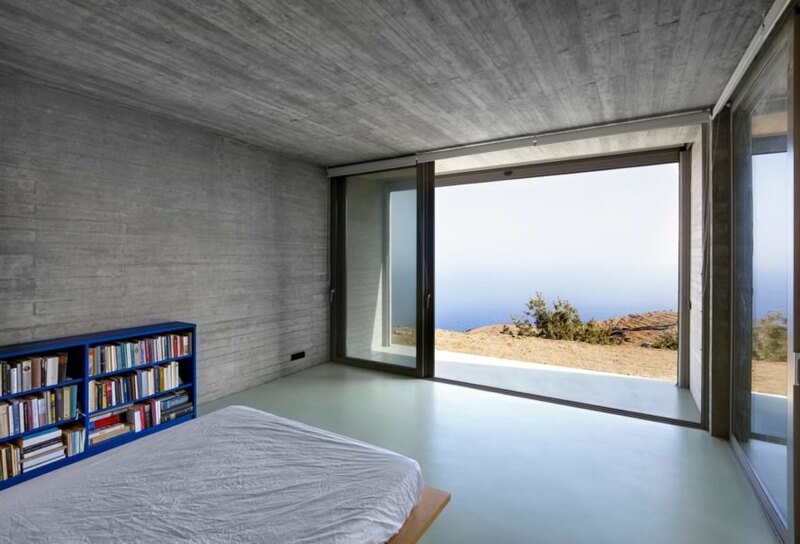 Athens-based En Route Architects designed the Parallel House to take advantage of the sea views. The front facade is broken up into framed volumes. Concrete walls and flooring add to the home's energy-efficient insulation. The interior design is simple and modern. Minimal furnishings and decor keep the focus on the surroundings. 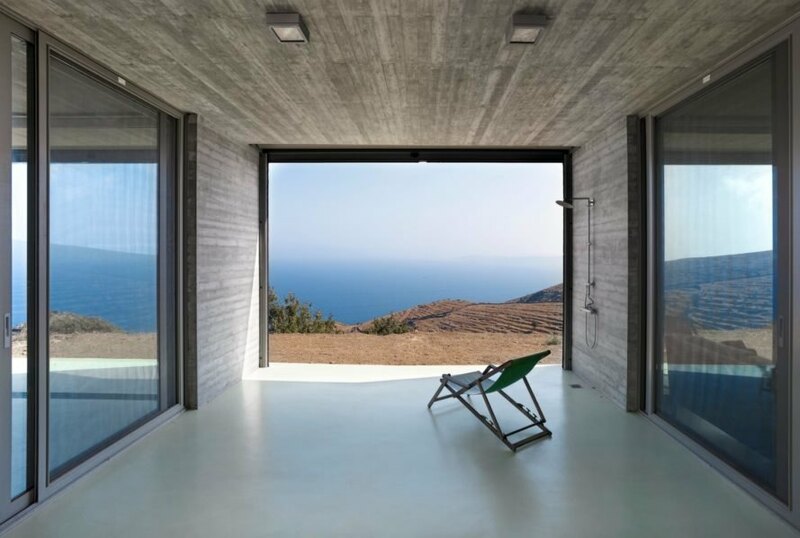 Large square openings frame the stunning views. Each room has a large sliding glass door that opens up to the front deck. An open-air patio is perfect for enjoying the warm summer nights. The roof is installed with a rainwater collection system. 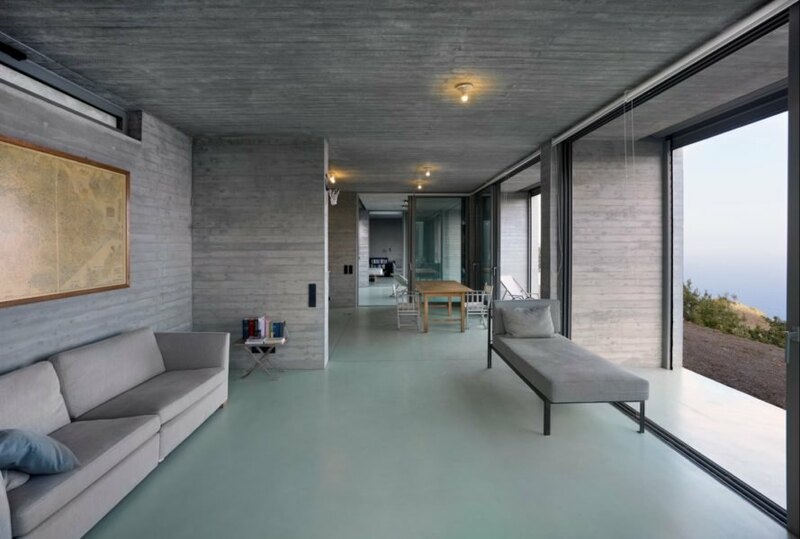 The concrete home is over 1,000 square feet. The home runs on solar power. 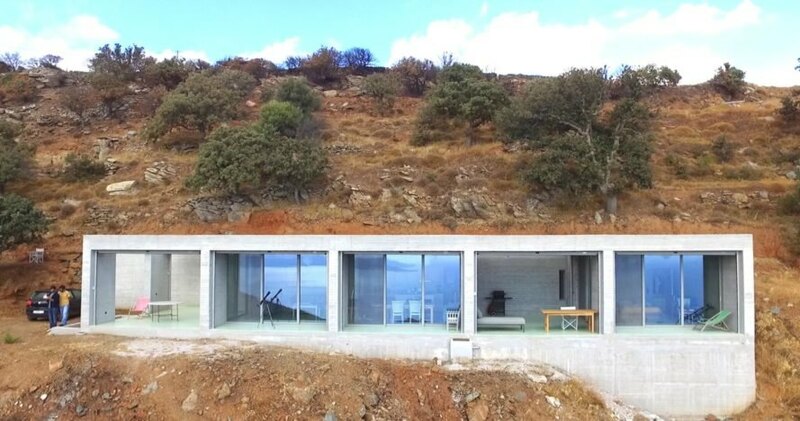 The exposed concrete home stands out over the rocky terrain. 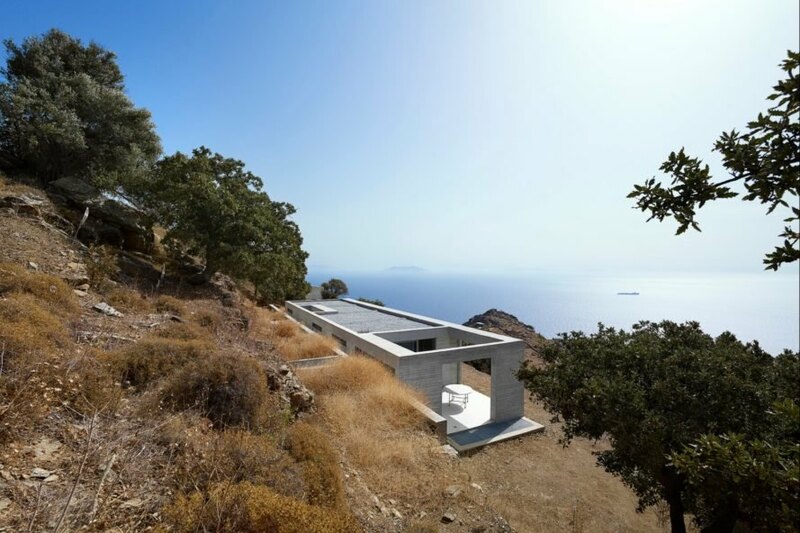 The home is located in a secluded area of a Greek island. 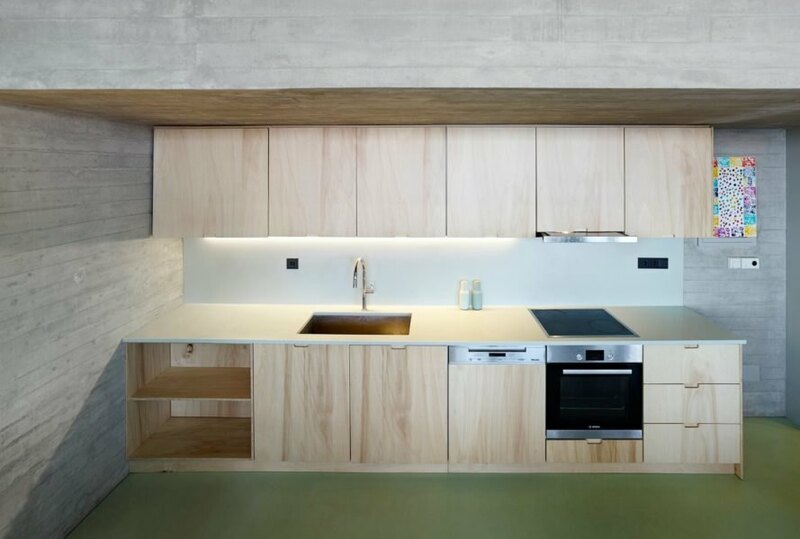 The residence has a number of sustainable features. The house is tucked into a hilly landscape overlooking the sea. The back is submerged into the landscape to make the most out of the views.